We, of the Russian River Rose Company, greet you and hope to share our love of roses -- with all of you around the world. Our family run nursery got its start in 1990 when our chief collector, took a cutting of an old rose that had escaped civilization and now covers the coastal headlands surrounding the village of Mendocino, California. 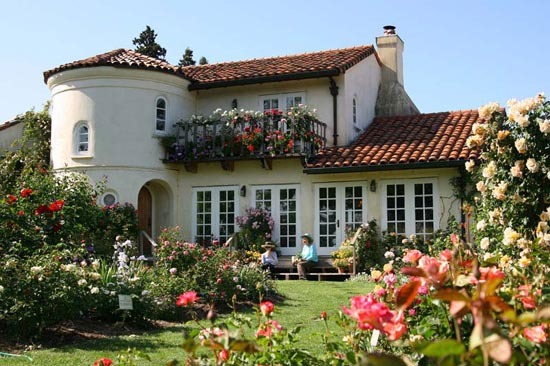 Our nursery and display garden are located in Healdsburg, California, which is about 70 miles north of San Francisco, in the heart ot wine country. Our collection includes over 650+ varieties -- ranging from ancient roses to recent introductions; native species to highly hybridized ones; GIANT shed-eating climbers to micro-minis, and many 'found' roses. We specialize in roses that do well here in Northern California wine country (our roses grow alongside grapevines) in the same wonderful climate that produces the best wine in the world! We offer many roses that can tolerate sites with less than full sun. We also offer limited 'rare' and 'collector' roses. The availability of all our roses greatly varies due to supply and season, and inquiry is highly advised. PERFUME ROSE HARVEST TOURS, complete with a full demonstration of a rose distillation to rose water and rose oil. NURSERY with a large and sumptuous selection of exquisite roses, available April thru May plus a few special events in Fall. 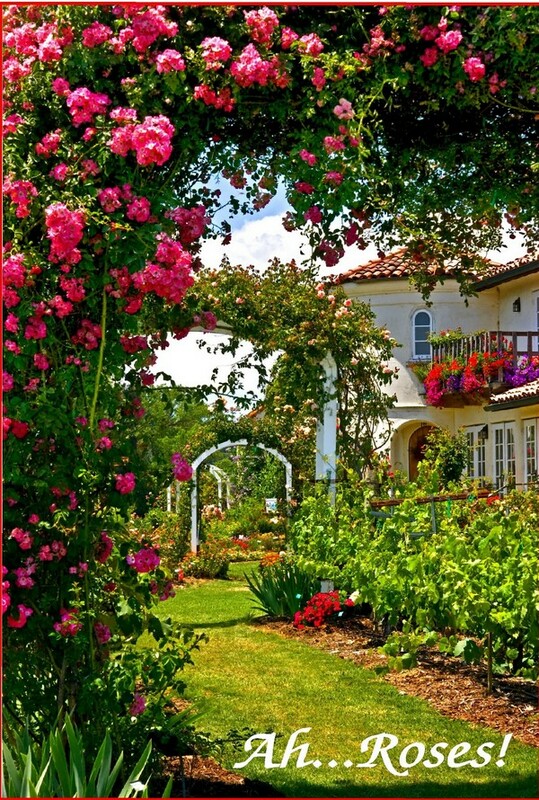 DISPLAY GARDENS connected by our Rose Alleé of 8 arches displaying 600+ rose varieties for you to visit and enjoy. Garden tours available on special request. SPECIAL EVENTS and rose related services. Our nursery is about 90 miles north of San Francisco (12 miles north of Santa Rosa) and is very close to Healdsburg in the heart of the Sonoma County Wine Country! Don't know how to prune that climbing rose or simply don't have the time? We can help. Creating a garden and can't quite picture what rose to plant? We can help. Call (707) 433-7455 or Email Us for special appointments and rate schedule, etc.